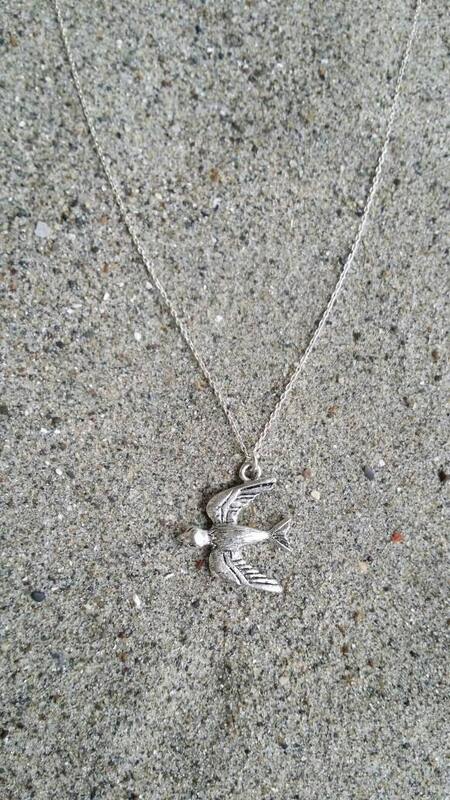 The silver plated charm is 20m x 21mm with an antiqued finish. 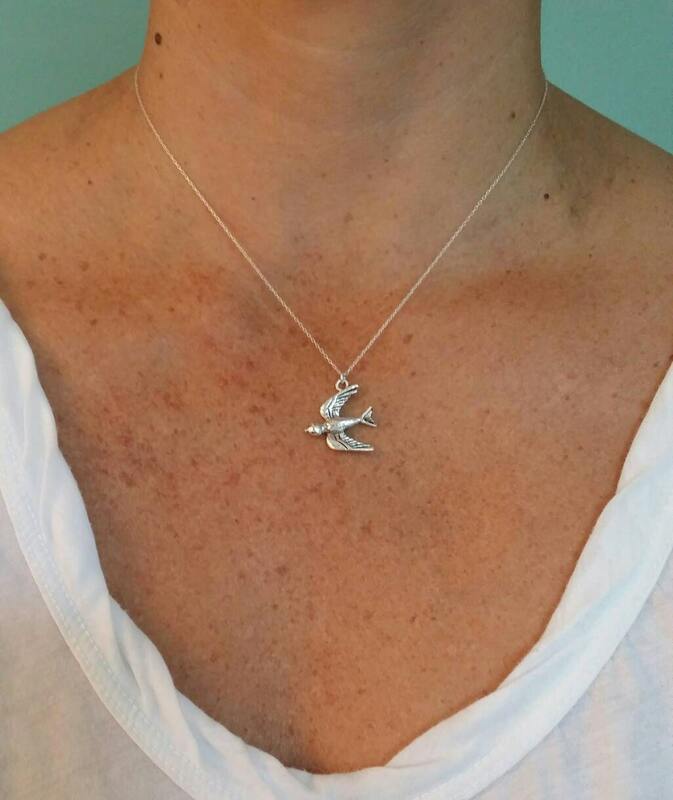 It has a delicate sterlibg silver chain with a sterling spring clasp in back. Shown here in 17" length.